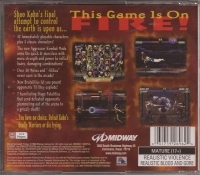 Box Text: Shao Kahn's final attempt to control the earth is upon us..... You have no choice. Defeat Kahn's deadly Warriors or die trying. 07-26-2014 critter7405 Box Text Shao Kahn's final attempt to control the earth is upon us..... You have no choice. Defeat Kahn's deadly Warriors or die trying. 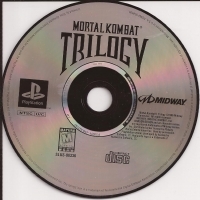 This is a list of VGCollect users who have Mortal Kombat Trilogy - Greatest Hits in their Collection. This is a list of VGCollect users who have Mortal Kombat Trilogy - Greatest Hits in their Sell List. 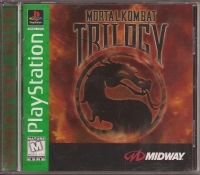 This is a list of VGCollect users who have Mortal Kombat Trilogy - Greatest Hits in their Wish List.